As we begin the new year, there are many changes afoot which will impact clients in a variety of ways. The passage of the 2017 Tax Cuts and Jobs Act introduces many changes to personal income taxation beginning with the 2018 tax return filing. The following contains a few of the highlights which will impact your overall taxation going forward. In addition to these changes, your allowable itemized deductions have changed substantially with the new tax law. Many individuals will now use the standard deduction rather than itemizing due to the standard deduction increases. For those who will still benefit from itemizing, many aspects of the Schedule A have changed for 2018. Charitable contribution deductions have been maintained with little change and the overall itemized deduction phaseout for high income individuals (Pease limitation) has been eliminated entirely. For those who will no longer be able to itemize their deductions, but are still considering charitable contributions, the ability to make use of a Qualified Charitable Transfer from your IRA is still part of current tax code and available for those age 70 ½ or older. This allows charitable transfers from your IRA to a qualified 501 (c) (3) organization, without current taxation to you. Additionally, it counts toward your required distribution from the IRA. This allows you to satisfy your required distribution, benefit your favorite charity and reduce your overall income taxation. Because many other tax code sections changed as a result of the 2017 Tax Cuts and Jobs Act, it will be important for you to work closely with your tax preparer to ensure you are aware of all the changes which directly affect you. 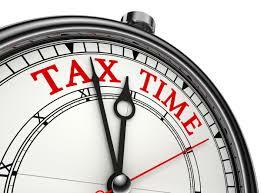 We will be in contact with tax preparers over the next year to assist in planning for these changes for our clients. Please contact your financial advisor if you have questions about your situation.